ICM is pleased to announce that it will be holding its second annual fashion show at Ikeja City Mall by Max and Nike (Formerly Woolworth). Well known for having popular fashion brands under one roof, ICM will bring to our shoppers an exhibition of contemporary fashion collections that cuts across distinct but unique market segments. 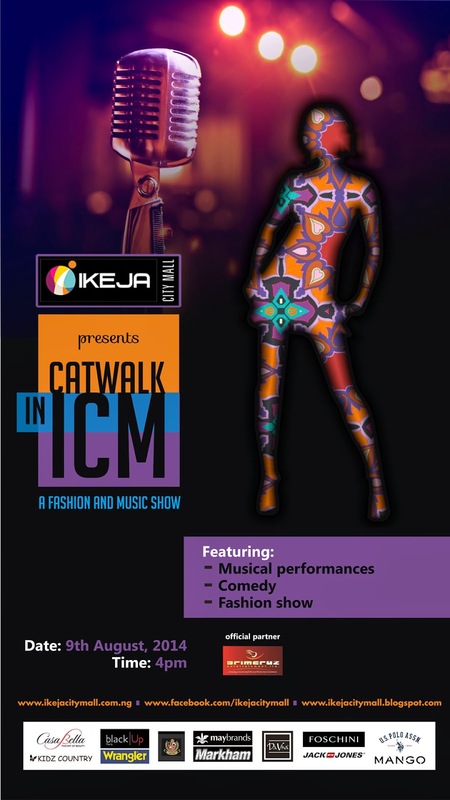 The 'Catwalk in ICM' will primarily showcase the best collections from all ICM fashion stores. 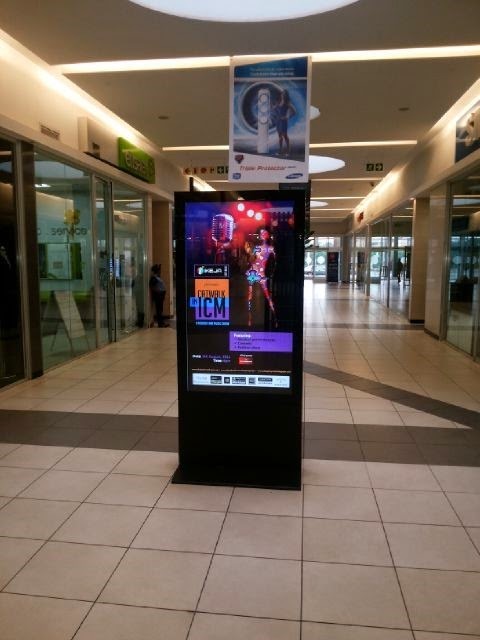 It awards the opportunity for shoppers to experience live current fashion trends and exciting offers. In addition to this, the event promises to attract the participation of some of the most creative makeup providers, trend setting hair stylists, young ground breaking musical talents and stunning runway models. The concept of this exciting show is to create a relaxed environment for our young vibrant fashionista shoppers to enjoy a top-of-the-line runway show and have the opportunity to place orders and interact with our fashion stores. If you love fashion and enjoy looking good, you will be in fashion heaven as you spend a stylish evening with us at ICM, soaking up the latest in fashion trends and sundry. Alternatively, shoppers can walk into each participating store and purchase what they see on the runway. Boutique and specialty fashion buyers, members of the press covering this event, selected VIPs, socialites and corporate sponsors are also sure to enjoy this event. Each fashion store will feature at intervals ensuring a new presentation for the audience. Guests and shoppers are invited to join us at 4:00pm. The “Catwalk in ICM” will showcase the current collections from ICM stores for summer 2014 including Mango, Jack & Jones, Wrangler, Kidz Country, Da Viva, US Polo, Markham, Mr. Price and Enzzo. Other stores include Black Up, Maybrands, Casabella and Bruno’s Place. Shoppers will get the opportunity to shop at discounted rates and stand a chance to win fantastic prizes from the aforementioned participating stores. Shoppers that spend up to N20,000 or more in any of the aforementioned fashion stores from 26th July to 8th August stand the chance to win cash prizes and other fantastic offers. Already, some stores are selling items at discounted rates. For example, presently at Maybrands, you get 40% off select bags and belts, all genuine leather. Also at Maybrands, you get a free Armani gift when you buy any Emporio Armani wrist watch at ICM. An ideal gift for that special person and a gift for your purchase. How cool is that? For the men, Markham will be offering 10% off all merchandise in store on the day of the event. For the ladies however, at Foschini, you can get 50% off all nightwear, fashion accessories, clothing and jewelry! Stock is moving fast as you read this so you better take advantage. It gets better for the ladies. Mango are currently doing 30% 0ff bags, 50% off some jackets, pants and select apparel! On the day of the event, expect great deals like 70% off your favourite attire! Husbands, brothers,sisters, partners had better take advantage as well and get that special woman a gift from Mango’s collections. Kidz Country, Wrangler, Jack & Jones will be doing 10% off select items in the store come August 9th including US Polo with their unisex collections and kids' clothing. So parents, your children won’t be left out. Da Viva will also be offering discounts and freebies as well that day and you can be sure the ICM blog will keep you posted on that one. Casabella, Black Up and Bruno’s Place will add their magic touch to the beautiful hostesses and models to grace the runway. Freebies will also be made available by all three. Where else will you shop at discounted rates, and still get the opportunity to win freebies from that purchase? Keep on shopping. Ensure you visit this blog for more updates on the 2014 fashion show. ICM remains your choice destination for leisure, entertainment and shopping. Bring family and friends. Follow us on twitter.com/ikejacitymall and facebook.com/ikejacitymall for updates on everything about ICM. Definitely looking forward to this. Still on about the I.C.M. initiative. Nothing feels better than giving to others in need. Thank you once again to everyone that made this year's soup kitchen & Outreach Drive a success. Over 1,000 people were catered to. There was food, clothing, shoes items for adults and children. total. See pictures below too catch a glimpse of what we were up to on boxing day. The dash for the shopping mall, the discounts, the bargains, unwrapping bought items and putting them into use. Yep! It's Black Friday again and all roads lead to the Ikeja City Mall!Bring friends, work colleagues, the kids, in-laws, your neighbor, and even pets. No, no pets please. We’re just joking! Browse the Centre. We’ve got Office Everything, Mango, Celio, Krispy Kreme, Accessories2die4, Onno, Essenza, Ennzo, Pandora, Shoprite, Twice as Nice, Maybrands & more doing 40% off or more deals Friday 23rd November. It doesn’t get any better than this!See it, touch it, buy it, no problems! See you there! All roads led to The Catwalk in ICM this weekend as the busiest mall in Nigeria hosted Lagos to the 6th edition of its annual fashion show. Too much talk will not do justice to showing how successful the event was, so the pictures will do the talking. Till then see you all again next year. The pieces you see are very much available in-store at ICM. So you can start the shopping spree at your choice destination.